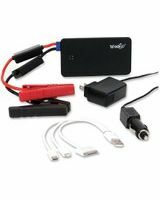 Weego Standard Jump Starter Battery+ - Jump Start Gas & Diesel Engines - Recharge Mobile Devices - 12V Lithium Polymer - 6000 mAh - Fits in Your Pocket! 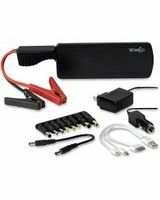 Weego Heavy Duty Jump Starter Battery+ - Jump Start Gas & Diesel Engines - Recharge Mobile Devices, 12V/19V Accessories & Laptops - 12V Lithium Polymer - 12000 mAh - Fits in Your Pocket! 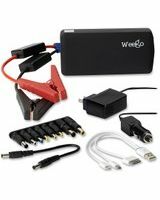 Weego Professional Jump Starter Battery+ - Jump Start Gas & Diesel Engines - Recharge Mobile Devices, 12V/19V Accessories & Laptops - 12V Lithium Polymer - 18000 mAh - Fits in Your Pocket!